In many ways, Vincent Poirier was stepping into unknown territory when he joined Baskonia Vitoria Gasteiz last summer. 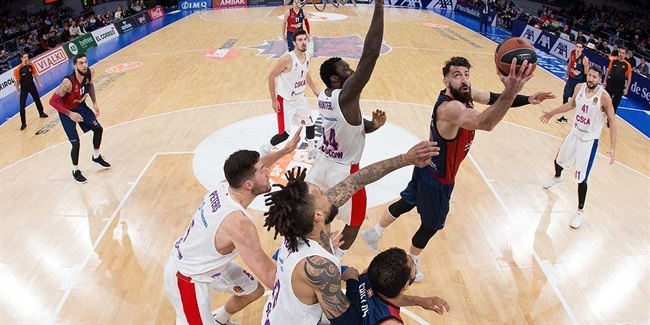 In addition to moving up to debut in the Turkish Airlines EuroLeague, the talented center was also moving away from his native France for the first time, after having spent four seasons playing with Paris-Levallois and one with Hyeres-Toulon. But as he sailed into uncharted waters, Poirier also had the comfort of knowing that he was sure to receive a warm welcome from fans at his new club – for the simple reason that he is French. 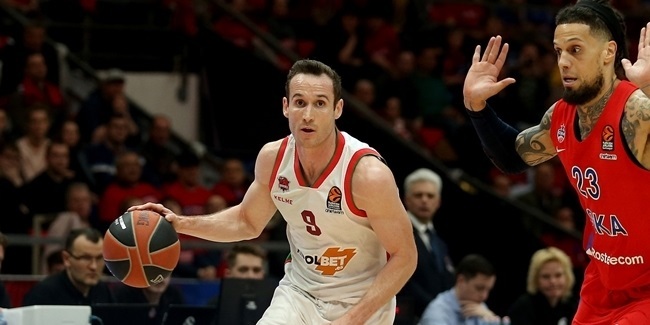 Baskonia and French basketball players have always been a good mix, dating right back to the beginning of this century when Marseille-born Laurent Foirest played a key role in the team's surge all the way to the 2001 Finals, where Baskonia suffered a 3-2 defeat against Bologna Kinder in a thrilling best-of-five series. Since then, Frenchmen have repeatedly kept on heading over the border to move to Vitoria, with Kim Tillie, Fabien Causeur and Thomas Heurtel among those who have enjoyed successful stints at Fernando Buesa Arena. Not surprisingly, Poirier made sure to lean upon his compatriot connections before he agreed to join the club. "I talked to a lot of French players who had been here before and they all told me only good things about Vitoria," he said. "I spoke to Laurent Foirest, Kim Tillie, Fabien Causeur, Rodrigue Beaubois and Kevin Seraphin, who all played in Baskonia. I knew these guys already from the national team and I've known some of them for many years. Hearing what they told me made a big difference to my choice. "They told me that this club knows how to make you comfortable, which is important. They also said I would like the fans and the city. I like to be good in my life so I can play well on court, and those guys gave me lots of evidence to be confident that it would be a good move." Having that kind of inside knowledge is more important than most fans realize. When a young player like Poirier – who turned 25 in October – is preparing to join a new club, it's not only a case of finding a team where he can play basketball, but also a matter of uprooting his whole life. The challenges of relocation are even greater, of course, when moving to a new country, so Poirier was greatly reassured to hear that he was making a good move from fellow professionals whose opinions he trusted. "When you're young and taking your first step in the EuroLeague, it's good to know what you are moving to," Poirier said. "Everything you can find out before you move helps. You want to know about the club, the fans, the staff, the arena. And also the city – what kind of life you can have here. It's important to find out as much as you can, so I was happy to know that Vitoria is a nice place to come and live. "Of course it's a small city, not like Paris! But everyone told me there are nice things to do in Vitoria. It's a good place to live, and a good place to play basketball." One French player already at the club when Poirier agreed to join is Beaubois. And his presence in Vitoria was particularly helpful to the new recruit because they also share the same agent. "Yeah, we have the same agent – Bouna N'Diaye – so I know Rodrigue quite well and of course it helped to have someone like him already here," Poirier says. "When Baskonia was interested in signing me, they spoke to my agent first. He called to ask if I was interested, and he thought it would be a good move for me. So I came here for three days in September, which was the first time I'd ever been to Vitoria. I spoke to the management and the coaches, and after that we said, 'Let's go!'" In addition to his own personal needs, Poirier also had someone special in mind when deciding upon the move to Spain, and as this is the digital age he took to cyberspace to ask for advice. "I didn't come here alone…I have my dog!" he laughs. "An English bulldog. So before I came here I went on Twitter and asked Baskonia fans where I could buy the things I needed for my dog. They gave me lots of good suggestions. They also recommended some restaurants in the city, like Sagartoki where they do amazing fried egg and potato pintxos! "The people in Vitoria sent me lots of answers and it really helped. I like to communicate with fans and share a few things from my life on social media, and I think they like to get involved as well." 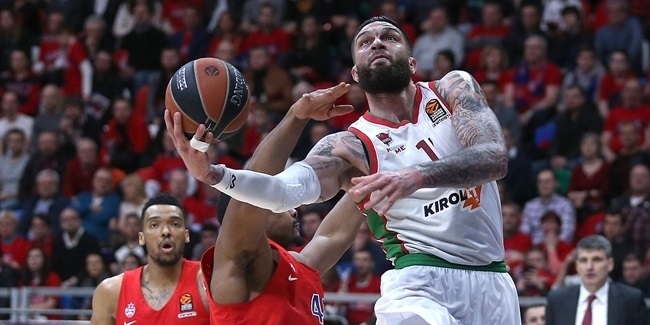 All told, Poirier's move to a new country was much less stressful than it is for many players in his situation, and he admits that the past successes enjoyed by his compatriots were a help in winning over Baskonia fans during his first few weeks at the club. "The fans looked at me and said: 'It's a French guy, you're going to be good!'" he laughs. "But I don't think about that, I just want to play my game and hopefully then they'll love me for that – and not just because I'm French!"